Unable to resist FIFA World Cup 2014 Fever. Wanted to be Brazil squad supporters. Right after Brazil won Croatia first match of FIFA World Cup 2014 at Brazil. I got myself overwhelmingly indulged Brazil Squad. They are the best and Neymar was the best Brazil player. In the meantime, I surfed the online shopping mall Lazada for another purpose due to the second half match resting. Then, I stumbled on many sport wear and decided to purchase some of them. I have spent estimated RM100 to buy 4 pieces of goods related to FIFA World Cup 2014. The lamp, bus, shirt and that portugal plushie. I do not want to show the lamp because it really childish might as well remove it from picture. As everyone was talking about FIFA World Cup, I never thought myself to be watching almost every FIFA World cup 2014 matches. The things is that my favorite squad was not Brazil after Germany and Netherlands in next few matches after Brazil vs Croatia. I thought Portugal was going to get really far because of Cristiano Ronaldo. Besides, I am quite supporting England squad as there were quite a lot of popular soccer players at that time. Furthermore, I not really a fan of Argentina although I am into this Lionel Messi. 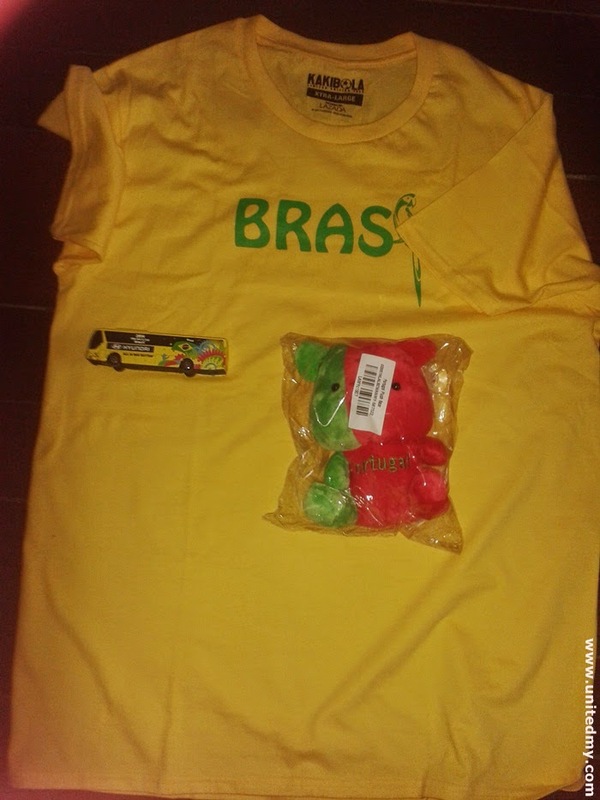 Although none of the team either Portugal or Brazil squad were the winner of this World Cup 2014 at Brazil But I had a nice time watching the game while wearing exclusive Lazada Brazil shirt.